VHC Brands is America's premium wholesaler of quilts, holiday goods, and other country themed home decor. 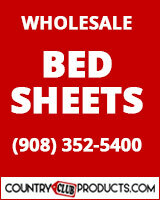 Our lines include quality bedding, pillows, throws, window, tabletop, kitchen, rugs, and bath. We typically ship in 24-48 hours of order and can drop ship. We offer custom & exclusive lines to our partners. We are a wholesale supplier of housewares and home decor items. We specialize in kitchenware such as casserole pots, ceramic dinnerware such as plates and bowls, drinkware including mugs and tea cups, and much more. We also provide customization for business and personal labelling. For inquiry, please contact 206-420-8080. Thank you!